There is plenty of metered parking available on Broadway, and in the area of East Somerville around the restaurant. Parking lot available behind restraunt after 5pm. Bus: Broadway @ Michigan Ave Bus. 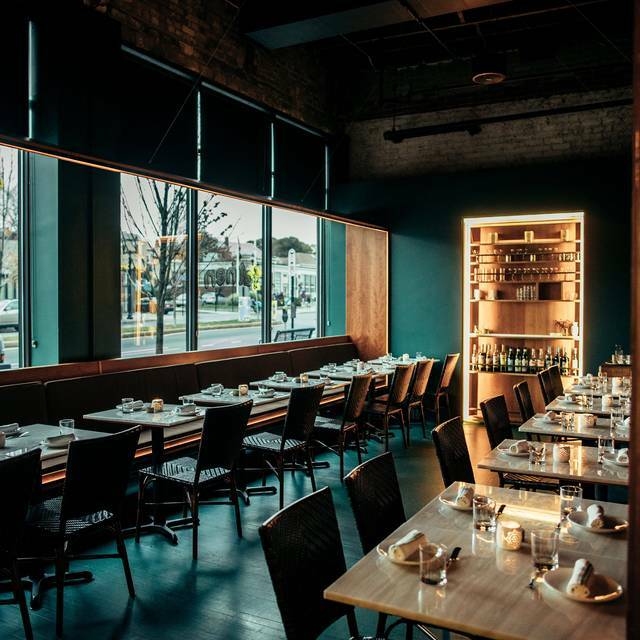 Located near Tufts University, Assembly Row, and Partners HealthCare, the Fat Hen Broadway East menu focuses on elegant, concise Italian inspired dishes paired with a well cultivated wine list. The sophisticated atmosphere makes for an exceptional dining experience from beginning to end. We available for private dining. Fat Hen Broadway East is Italian upscale dining, located on Broadway in East Somerville adjacent to its sister restaurant La Brasa. Place was cute. The service was good and appetizers were amazing (we got the crudo and burrata). The pasta dishes were very underwhelming though. We got the gnocchi and risotto, both of which did not have the right texture. The gnocchi was quite chewy and overworked. Flavor of the risotto was good, a bit smoky. The gnocchi was bland though. Would recommend people try the place in general though. The food was fabulous but I came away hungry. I had the crudo app and cod main dish and shared a dessert. What I really wanted was a bread basket. That would have made it perfect. Piedmontese wine dinner was extremely delicious and beautiful with very nice wine pairings. Our first time at Fat Hen, this was a lovely discovery. The food was superb! It really was a delicious experience trying the chef's inspiration with ingredients usually not combined. All the dishes we had were outstanding. The service was very good. Loved the experience!! Great place to go for a splurge. The gnocchi, duck breast, sea bass, and croccheta were all absolutely delicious. I can only repeat myself. This was our third time and the first with guests, who were has happy with the meal and the experience as we had hoped. Fantastic food and presentation. Very attentive, but not intrusive staff. Excellent dining experience. Everything is delicious and so creative! We love Fat Hen. Great food and very attentive staff. We tried the six course tasting menu and the food was amazing. A great value for such a variety of wonderful food. The chef delivered each course which was a nice touch. The staff works well together and are exceptionally attentive. Small fun ambiance. Fantastic one of a kind experience. Best Chef Tasting and wine pairing in Boston. Lovely, relaxed, environment with out of this world culinary creations. The food was magical! My fiance and I love Fat Hen! We had two amazing experiences eating at the chef's counter. The chefs, owner, and hosts are wonderful! They are very friendly and truly want their customers to have the best experience. The food is creative, unique, and absolutely delicious! Very friendly staff. Mostly delicious food. Honestly it’s one of the darkest restaurants we’ve ever been to. Best meal I’ve had in Boston. Hands down. Stunningly wonderful food--creative design, artful presentation, and absolutely delicious. Great service: friendly, helpful, down-to-earth. Some interesting wines, including some biodynamic ones. We'll be back! This is possibly the best food and service that my wife and I have ever experienced. The restaurant is very small but the quality of food and the service are very, very, large. Every dish that we have tried ( this was our 2nd visit ) has been the most flavorful experience and we were remembered by the staff and treated like family, on our 2nd visit. Im feeling guilty writing this review, I would rather keep the Fat Hen a secret. Italian cuisine with a twist. 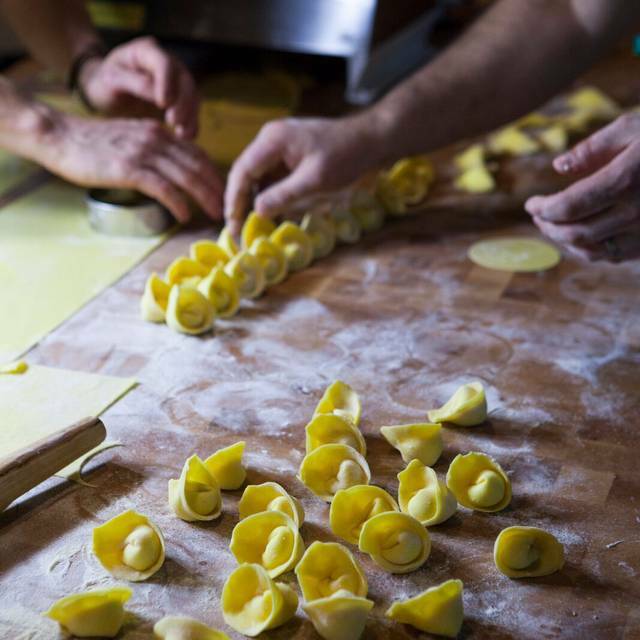 Delicious appetizers and pasta dishes dominate the small, mostly local ingredient menu. Solid cocktail and wine menus with respectable dessert options. The tasting menu was a great value especially with the quality of the dishes as well as the unique preparation...just excellent!! I wish I could give this place more than 5 stars. Everything was picture perfect. I love the idea of farm to table restaurants. Chef Brian truly understands the art of food. The food was DELICIOUS. When it arrived at our table, I didn’t want to eat it — that’s how beautiful it looked. I could have eaten their desserts all. day. long. Be sure to try Chef Brian’s salted caramel white chocolate squares — they’re divine. I’ll definitely be back! Went for my wife's birthday , also her sister's. All four of us had the tasting menu. The antipasto's were excellent. My wife had a particularly good Caesar salad, I had the fois gras. The terrine was delicious. We also chose the wine pairing and it was also exceptional. The ugni blanc sweet wine served with the terrine was superb. The gruner weltliner served with the salad was a good choice but my wife thought she had had superior gruner on other occasions. The pasta was exceptional, both the gnocci and the agnolotti. Both the reds served with excellent. We both had scallops for entree and they were superb and well matched with the verdicchio. My wife loves dark chocolate so she was a little disappointed with the dessert selections which were white chocolate and caramel based, she chose white chocolate semifreddo. But she loved the rose pineau that accompanied it. I had the caramel cremoso and an amari which were both superb. The server was knowledgeable and attentive. The room, which is small was comfortable and quiet. The bill was steep but worth every penny. This was the first trip to the Fat Hen for my husband and I. The dining area is very small and quiet which we liked. The staff that served us did a wonderful job of being cheerful, attentive and informative about the menu options. We ordered the prix fixe option where for $55 a person you get to choose one item from 4 courses. Everything was creative and delicious and our visit to the Fat Hen was an enjoyable evening out. The lamb pasta is truly amazing. All of their food is so incredibly good, well worth the money. Dinner out on a weekday evening. Made a reservation, very small place, warm despite huge windows, excellent background music, high ceilings, gracious staff. We both took the tasting menu with different dishes. All excellent. The "crudo" fish salad was a sparkling delight. All courses were inventive and well executed. Nicely portioned. Even the bread was superb execution. Fat Hen is our favorite restaurant. The chef’s tasting menu is the best we have had (and we have had quite a few). The food is spectacular. It never disappoints. The service is friendly and accommodating. We will be back. Simply wonderful. We can’t wait to go back. Food was beautifully prepared and presented. Fish was very fresh, and nicely seasoned. However, the menu needs to be more descriptive and some the main dishes were a bit over seasoned, like the braised lamb and risotto dishes. In all, a pleasant dining experience. I loved the chef on our visit. Highly recommend doing the Chef's tasting menu as the man is one of the most skilled we have come across in the years we have lived in the Boston area. The cocktail artists are also very skilled and made libations that paired excellent with the Chef's menu. The location is on the tail end of La Brasa but Fat Hen is in another culinary world. really small and we were seated at the same exact time as the couple next to us, so we felt like we sort of shared a meal with them, which was a little strange. Menu and style of meal is confusing (what you should order, what is actually in your meal, how much food is each piece, etc). Online it is described as Italian food, but that is a stretch. The food is interesting, calling it Italian seems flat out incorrect. Overall, a kind of strange experience and kind of felt uneducated because we weren't sure what these dining options were all about, when in reality the set up is confusing. Amazing experience. Waiter was extremely helpful in walking us through the menu. Can’t wait to go back. Some of the most delicious food we’ve ever had! Service was very personal and generous as well. Great place, excellent server, absolutely recommend it! We did the full tasting menu and our chef, Ryan, did an exquisite job both overall - and consideratly meeting our dietary restrictions. We'll be back for more! The entire staff of Fat Hen perfectly complements the amazing food. Chef Brian is a true creative - not just for the sake of visual beauty. The food is delicious and well thought out. Not only that, he sources ingredients with integrity and community in mind. Jake and Jamie make dining an absolute pleasure and wine pairs are carefully made by them - enhancing the food perfectly. There is no reason to order off the menu. Order the chef’s whim....trust me, you want Chef Brian to make your decisions with his beautiful food. Overall, Fat Hen is a warm and inviting experience where food is love! A fantastic experience. Food is always memorable and of course delicious on so many levels. Cozy place, great service. Sadly the risotto was over seasoned to the point it was inedible. Ceaser salad was marginal at best. Too much dressing, not enough flavor. Wish I could find something good to comment on. The server was really attentive.